Sohail struck twice with the ball on the first day. 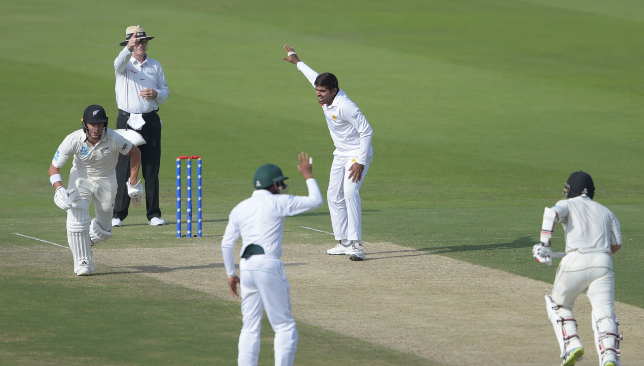 Pakistan made a bright start to the opening Test against New Zealand at Abu Dhabi as they wrested the early initiative. After New Zealand skipper Kane Williamson won the toss and elected to bat first, Pakistan bowlers bundled out the visitors for just 153 runs in their first innings. In reply, Pakistan had reached 59-2 by the time stumps were drawn on day one. Haris Sohail starred for Pakistan with both bat and ball on Friday. Here, we take a closer look at the southpaw’s display. With the pitch giving assistance to spinners, Sohail was given the ball by Sarfraz Ahmed and he immediately found sharp turn with his left-arm spin. The 29-year-old tightened Pakistan’s grip on the game by pinning Ish Sodhi and the last recognised batsman in BJ Watling lbw to reduce the Kiwis to 133-8. Sohail was soon called into action with the bat when Pakistan openers Imam-ul-Haq and Mohammad Hafeez fell in quick succession and avoided further damage by putting together an assured stand along with Azhar Ali. The left-hander safely negotiated a tricky period towards the close of play and put Pakistan in a strong position to push ahead on day two. With the ball, Sohail got prodigious turn and managed to bamboozle Watling. Squaring the New Zealand wicketkeeper batsman up with a beautifully flighted delivery, Sohail extinguished any hopes the tourists had of salvaging their first innings. With the bat, he came in at a time that Pakistan were pegged back early. Sohail looked assured in his 40-ball unbeaten stay at the crease and had settled down well at the crease by the time the day’s play ended. Sohail got the ball to turn sharply on day one. There was not much Sohail did wrong with either ball or bat on day one. He is not a specialist spinner and did as well a job as Sarfraz could have asked for with the ball. With the bat, he barely made any mistakes with his shot selection and was largely comfortable at the crease. Having been unlucky with injuries in the past, Sohail is slowly becoming a regular member of Pakistan’s Test squad. The talented all-rounder is clearly relishing being given an extended run for the first time and helped Pakistan seize control on day one with valuable contributions. His job, however, is not yet done and he has a big day with the bat coming up on Saturday. Sohail has made a habit of getting starts in his previous matches but not converting them and he now has the chance to register his first Test half-century in over a year. Should he do that, he could put Pakistan in an even stronger position. Root led from the front with a counter-attacking ton. The see-saw battle between Sri Lanka and England in the second Test at Kandy continued on an eventful day three. At the close of play on Friday, the tourists had reached 324-9 in their second innings for an overall lead of 278 runs. With the match still hanging in the balance, we take a look at the key talking points from the third day. Joe Root arrived at the crease on day three with England batting at 77-2 and soon saw his side reduced to 109-4 with the fall of Rory Burns and Ben Stokes. The visitors were in a precarious spot with an overall lead of just 63 at the stage before Root put together a masterful innings filled with aggression and intent. 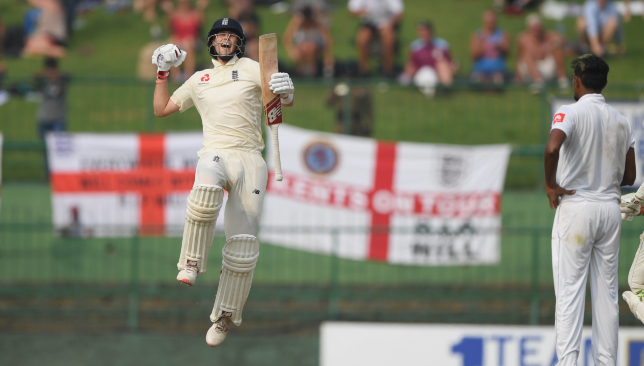 The England skipper took the attack to Sri Lanka’s spinners and struck 10 boundaries and two sixes on the way to bringing up his 15th Test ton and fourth away from home. The classy right-hander batted at a strike-rate of nearly 85 and used the sweep shot to good effect in an innings that changed the momentum of the game. 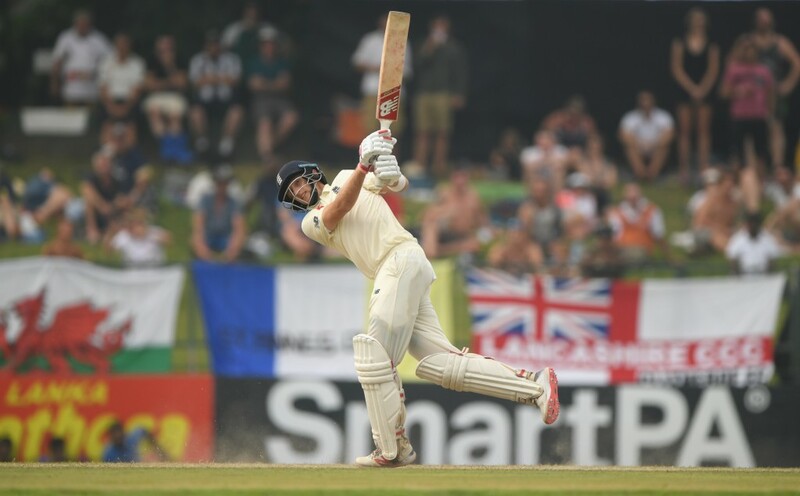 By the time Root fell for a 146-ball 124, he had taken the visitors’ second innings lead beyond 250 and put his side in a great position to push for a series win. Root took the attack to Sri Lanka with his aggressive innings. The day had started poorly for England with nightwatchman Jack Leach lasting just five deliveries before returning to the pavilion. Rory Burns and Keaton Jennings then put together a 73-run stand for the second wicket before the latter fell to Akila Dananjaya. Burns, though, continued his assured innings filled with some delightful boundaries and excellent running between the wickets. 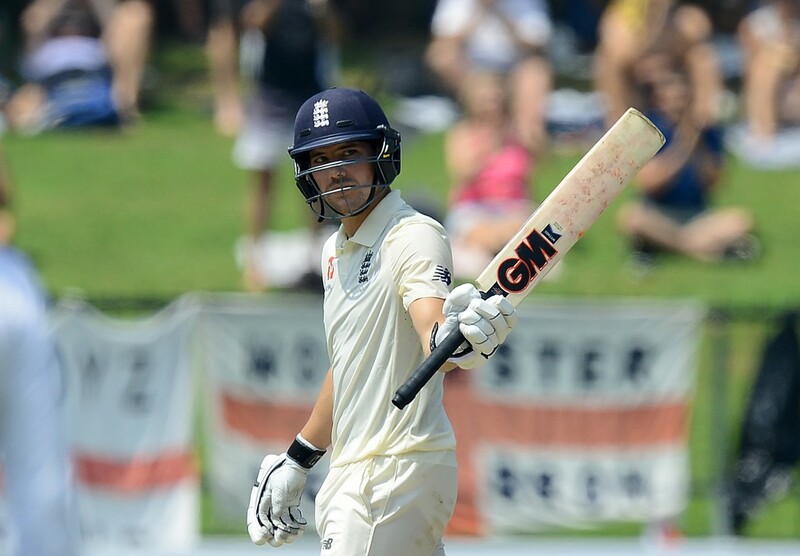 The England opener brought up a maiden Test half-century in difficult conditions. The Surrey man showed with his innings that he can become the long-term heir to the now retired Alastair Cook. His Surrey teammate Ben Foakes then put together another assured innings in just his second Test and was unbeaten on 51 before stumps were drawn on day three. The wicketkeeper batsman followed up his debut Test heroics with another quality outing with the bat in what are very encouraging signs from the rookie. A maiden Test half-century for Rory Burns. 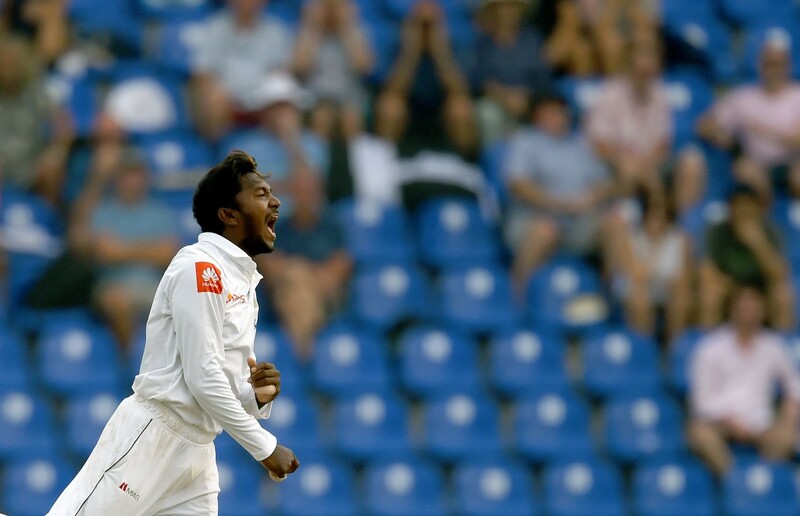 Dananjaya came into the match in difficult circumstances after he was reported for a suspect bowling action following the completion of the first Test. The youngster seemed unaffected by the controversy as he picked up his maiden six-wicket haul in Test cricket. The spinner accounted for Jennings, Root, Jos Buttler, Moeen Ali and the dangerous Sam Curran among his six scalps and was Sri Lanka’s best spinner of the day. However, even Dananjaya’s career-best wasn’t enough to stop England’s batsmen from scoring at an impressive clip all day. Even Dananjaya went for over four and a half runs per over as the hosts’ bowlers struggled to stem the flow of boundaries and runs. Dananjaya’s six-wicket haul was overshadowed. Azhar Ali and Haris Sohail led Pakistan to 59/2 at the end of Day 1 to put the hosts in the driving seat of the first Test in Abu Dhabi after the bowlers knocked New Zealand over for 153. Having lost the toss and asked to bowl first, Pakistan did superbly to bowl the visitors out by tea. Openers Mohammad Hafeez and Imam-ul-Haq were then dismissed cheaply, giving the Kiwis hope they could mount a comeback, but Ali and Sohail made sure there were no further setbacks. Earlier, Pakistan pacers Mohammad Abbas and Hasan Ali induced a collapse from New Zealand after lunch, as they went from their lunchtime score of 81/3. Abbas got the well-set Henry Nicholls, who had battled for 78 balls for his 28, before Hasan Ali strangled Kiwi captain Kane Williamson, who top-scored for New Zealand with 63, with a leg-side bouncer and then trapped Colin de Grandhomme LBW the very next ball. Haris Sohail picked up the wickets of Ish Sodhi and BJ Watling soon after, before Bilal Asif and Yasir Shah wrapped up the tail. All told, New Zealand went from 111/3 to 153 all out. New Zealand had ended the first session at 81/3 after choosing to bat. 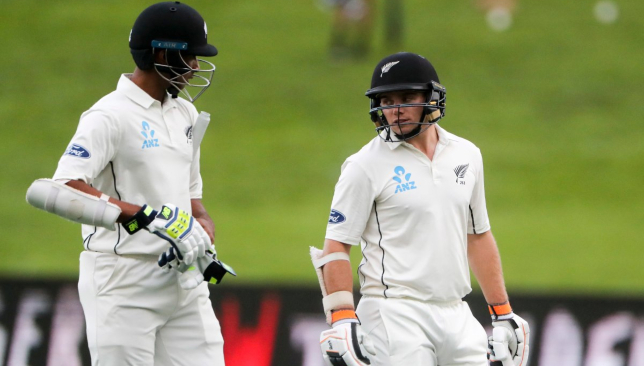 In-form pacer Abbas picked up the first wicket for the hosts, that of opener Jeet Raval, before leg-spinner Yasir Shah got into the act, first getting Raval’s opening partner Tom Latham and then taking out Ross Taylor cheaply. Williamson then steadied the ship along with Nicholls, with Williamson ending the session unbeaten on 40 after a solid innings. In the morning, fit-again skipper Williamson won the toss and opted to bat in order to avoid having to bat last on a pitch that is expected to turn. Williamson missed the last one-day international in Dubai on Sunday with a groin injury. New Zealand handed a Test debut to 30-year-old left-arm spinner Ajaz Patel, leaving out paceman Tim Southee. Pakistan’s opener Imam-ul-Haq returned to the side after missing the second Test against Australia in Abu Dhabi with a finger injury. The second Test is in Dubai from November 24-28 and the third in Abu Dhabi from December 3-7. Follow the action with our live ball-by-ball coverage from Abu Dhabi below.